Volvo will build its first full-electric car in China, sources told Automotive News Europe ahead of an official announcement planned for the Shanghai auto show next week. The battery-powered vehicle will debut in 2019 and will be exported globally. It will be based on the compact modular architecture (CMA) that Volvo co-developed with Zhejiang Geely Holding sister brand Lynk & CO, the sources said. The electric car will be made at Volvo's plant in Luqiao, southeast China, alongside CMA-based models such as the all-new XC40 compact SUV, which launches later this year, and Lynk & CO's first model, the 01 crossover. The sources said Volvo's first full-electric car would be an all-new model but declined to say what body type will be used. The sources also confirmed that Volvo is still simultaneously developing full-electric cars that will be underpinned by its larger scalable product architecture (SPA). Those models will be a key to helping Volvo reach its aim of having a 1 million electrified cars on the road by 2025. That figure includes plug-in hybrid versions of every future model in the automaker's lineup. Currently, 14 percent of the XC90s that Volvo sells globally are plug-in hybrids. Volvo expects about 15 percent of customers for its new second-generation XC60 to pick the powertrain. The automaker recently moved production of the S90 to China from Sweden. 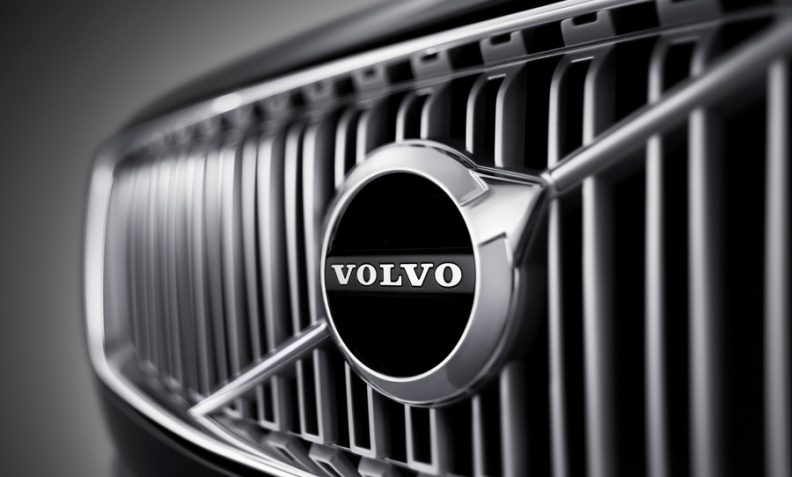 Volvo will export its flagship sedan to global markets including Europe and the U.S. from its factory in Daqing. In 2015, Volvo became the first Western automaker to export a China-made premium car outside the country when shipments of the long-wheelbase S60 Inscription started to the U.S. Along with its plants in Daqing and Luqiao, Volvo's current and new-generation 60-series midsize models will be built at a factory in Chengdu, central China. “With three plants – and the designation of one car line for each plant – Volvo creates an efficient production structure ensuring future capacity for growth,” Volvo CEO Hakan Samuelsson said at an event in Shanghai last November. Volvo needs the additional output in China to reach two key goals: increasing its sales in its largest-single market to 200,000 by 2020 from 90,930 last year and boosting global vehicle sales to 800,000 by the same year from 534,332 last year. The large majority of those half-million units were made at Volvo’s plants in Torslanda, near Gothenburg, Sweden, and Ghent, Belgium.